If you haven’t heard the Pentatonix group’s singing before, then you’ve been seriously depriving yourself. In the highly unlikely event that you haven’t heard the overwhelmingly famous a capella group’s breathtaking covers of songs as famous as Bohemian Rhapsody or Hallelujah, there’s no need to worry, there’s more. 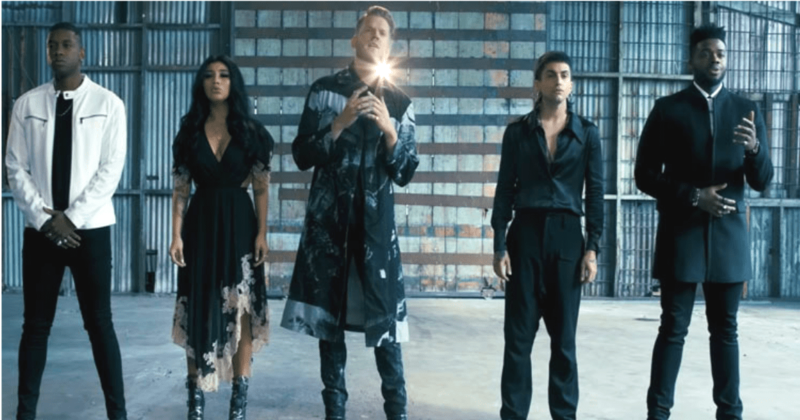 The harrowing voices of Pentatonix have finally come together to cover one of the deepest, darkest songs of the 20th century; Simon and Garfunkle’s The Sound Of Silence, and it’s one hell of a bombshell of a rendition, too! The gifted group first came together in 2011 when they won NBC’s hit show The Sing-Off. Fast forward a little bit and in less than 10 years have taken home 3 Grammy awards for their eclectic and captivating songs, both original and cover tunes. The group is composed of five unbelievably talented singers; Kirstin Maldonado, Matt Sallee (entered the group after Avi Kaplan left), Kevin Olusola, Scott Hoying, and Mitch Grassi who founded the group. Although the group has already shot to super-stardom, especially over the last few years, they don’t seem to be losing any of the chemistry that makes them flow together in a way that no group has before, and they showcase this in their latest release. In their official video release of The Sound of Silence, Hoying’s deep, gravelly baritone plunges you into the dark and ghostly aura of the classic song. 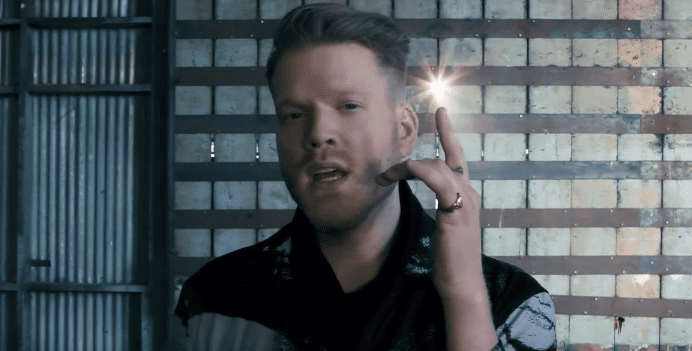 While Pentatonix has arguably covered the song better than anyone before them, they certainly aren’t the only ones to take a crack at it. Most notably, the heavy metal band Disturbed covered the song in 2015, and while the Pentatonix cover has taken that extra twist of darkness from the metal cover into their own rendition, they’ve somehow made it even more haunting with their vocal layering. As Hoying’s voice carves the pathway of the introduction, the other four group members slowly come and flank him on each side to lend their vocals to not just the lyrics, but to percussion, beatboxing, and jaw-dropping vocal riffing as well. All of these qualities combine in the harmonious quintet to make for an incredibly powerful performance that almost leaves your soul feeling just slightly shattered. The setting of a barren industrial warehouse not only lends to the depressed nature of the lyrics but also creates an acoustic arena that carries the group’s voices in an impactful way that makes their rendition of the song stand far apart from its 1965 roots. Pentatonix officially released their latest video to their Youtube page on February 15th, and within less than one week it has already culled over 3 million views! Granted, this unprecedented a capella group pulls in views by the millions on the regular with most of their video releases, but to gain the attention of that many viewers in less than a week is absolutely insane! If you thought a few million was a lot, just two weeks after the video’s release it has already had well over 10 million views! As soon as the song was released, the comments came flooding in and they aren’t slowing down, either. This version of the song is piercing the hearts of millions, and people can’t help but express it. One Youtube viewer, Nephi Acaling, declared the group’s greatness, placing PTX as the Number 1 a capella group on the planet. Most of the commenters felt very much the same way, expressing how blown away they were at the group’s amazing vocal artistry. In addition to gifting the world with one of the most epic covers of all time, they had one more surprise in store with the release of the video. In the caption, they announce that the video upload was merely to celebrate their announcement of a world tour for 2019 kicking off in Oakland, CA on May 11th. Get a sneak peek at the some of the magic you’ll be experiencing by checking out their cover of The Sound of Silence below.